A lovely smile is a valuable resource which not only builds self confidence as well as enhances one's face value. Coverting somebody's teeth into a lovely smile by Orthodontics implies a considerable measure to him, not just due to the positive effect it has on the lives of his patients, but since of the connections he has possessed the capacity to work with them. It is consistently rewarding to watch the changes in every patient's personality as they pass through the span of the dental treatment. Our dentist is enthusiastic about dentistry and changing lives of his patients by giving them MAGICAL SMILES. Dr. Rohan Jain attended prestigious SMBT Dental College & Hospital, Maharashtra, Ranked amongst the Top Most Dental Colleges in India, where he earned his Bachelor of Dental Science (BDS) degree. 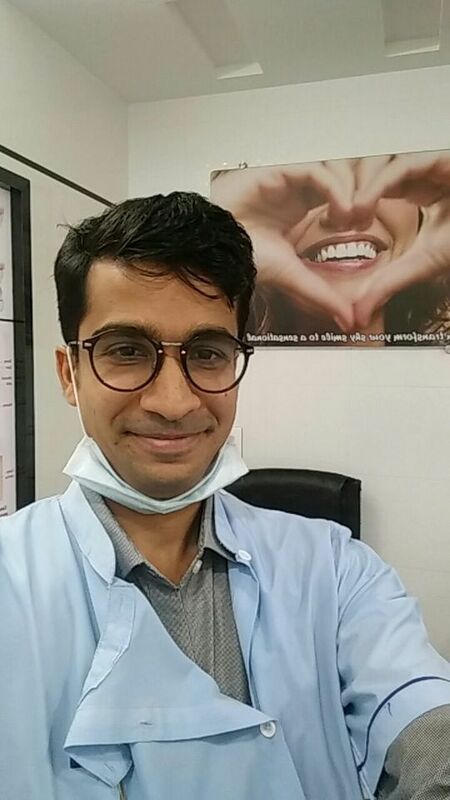 Dr. Rohan Jain is a passionate dentist and an avid learner and student of dentistry keeping in tune with the latest in dentistry and related sciences. He is one of the best root canal dentist in Bhandup, Kanjur Marg, Nahur, Mulund, Powai and is known to give best quality dental implants results to his patients. He is a firm believer in interdisciplinary dentistry and dental aesthetics and emphasizes on comprehensive treatment planning keeping ideal dentistry treatment goals in mind. He is a soccer lover and maintains his schedules effectively for his passions. His interests are sports, traveling and reading.